The competition in Calgary is fierce, and only the best service business owners make it to the top. Jobber software helps service businesses quote, schedule, invoice, and get paid—faster. Is Jobber a good fit for me? 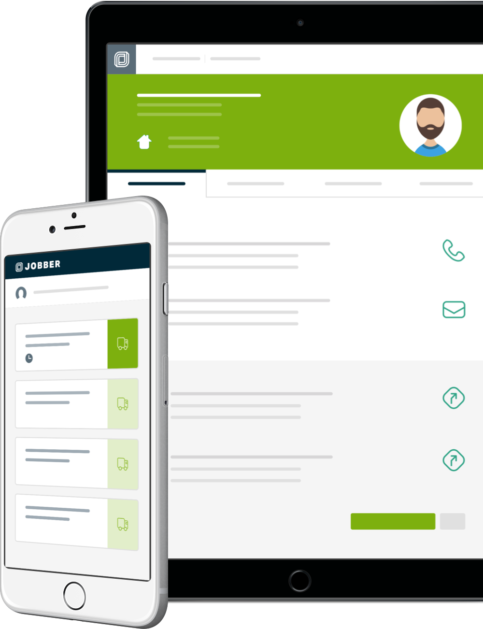 Jobber is perfect for small service businesses with 2 to 50 employees in industries such as cleaning, lawn care, plumbing, painting, roofing, HVAC, and more. Want to try Jobber out? Start a free 14 day trial. "Before I was absolutely terrified of missing appointments." "Jobber helped us build this process where we always show up on time. It basically has created a seamless process for us. From booking jobs, to dispatching, and invoicing customers." "I couldn’t believe the money I was saving on gas, time, wages." We have customers in over 43 countries, but our HQ is in Edmonton. That's why we're so happy to have such a strong base of customers in Calgary. Here are a few ways we help them run their operations. Use Jobber's quoting feature to send professional quotes, and impress your clients. Your clients can approve quotes online, pay deposits, and e-sign so you have a record of their consent to move forward. Bonus: Jobber reminds you to follow up on quotes so you don't leave hot leads behind. Automate text and email reminders so your clients don't forget about upcoming appointments. Every time someone on your team clocks in, edits a job, or creates an invoice from the Jobber app, Jobber tracks their exact GPS location.